When you are talking about misdemeanor assault and battery, an assault charge is when the prosecutor alleges that you threatened someone and you had the ability to cause bodily injury to the person. A battery is when you actually do cause bodily injury to another person. Another subsection of battery would be an unlawful contact. That would be touching someone in a rude, angry or insolent manner. It would carry a possible penalty of up to six months in jail and an up to $750 fine. 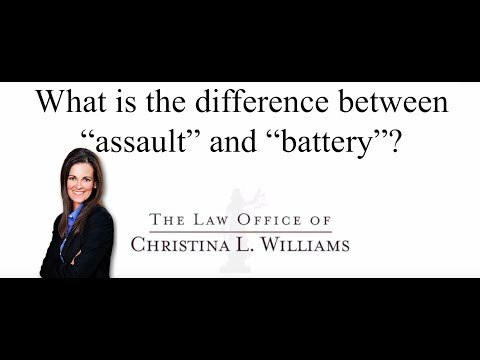 A battery is a slightly more serious misdemeanor than an assault.